Most mastering houses talk only about the technical details of their work. However, mastering is an emotional art form just as much as it is the technical side of assembling the project. That's why we don't list things such as equalization, dynamics, or even running your songs through our 1" tape deck in the "technical" section. While these techniques improve the overall technical quality of your music, they also impact the emotion of it. Push the dynamics too hard, and a tender ballad can become irritating or harsh to the end listener. EQ a heavy rock performance too bright, and it becomes thin and un-aggressive to the audience. These tools can shape your sound to perfection, but they can also affect listeners as much as the musical notes themselves. The ultimate result of mastering with Cphonic is that we create a beautiful-sounding, high-resolution final master of your music that gives you the competitive edge in the marketplace, while presenting the best version of your music, bringing out all its ideal qualities and eliminating all the bad ones. The ultimate purpose of that is to move the listener, and simply smashing the mix with compression or turning up the volume to 11 (as many online mastering houses do) never achieves that goal. Yes, your music mastered with Cphonic will be louder and competitive, but it will also retain the dynamics and rhythm that define its "groove"; it will have all the best qualities of the lead vocal stand out so the listener can connect with the lyrical content; and, the low frequency and sub frequency range (such as the kick and bass relationship) will be perfected so listeners can feel just the right amount of "thump" in the chest, or they will be moved on the dance floor. Every detail counts in properly conveying the intentions of the artist, engineer, and music producer of the original recording. There are no presets here, no "chains" of equipment we run through with every single client--it's all up to your music and the emotional reaction it brings to a listener. THAT is what we base our creative decisions on at Cphonic: how our mastering work will impact the listener and move them closer to the emotions intended in the music you've created. Any mastering decision that detracts from that is one that degrades your product, and ultimately destroys your connection to the people who respond to your music. 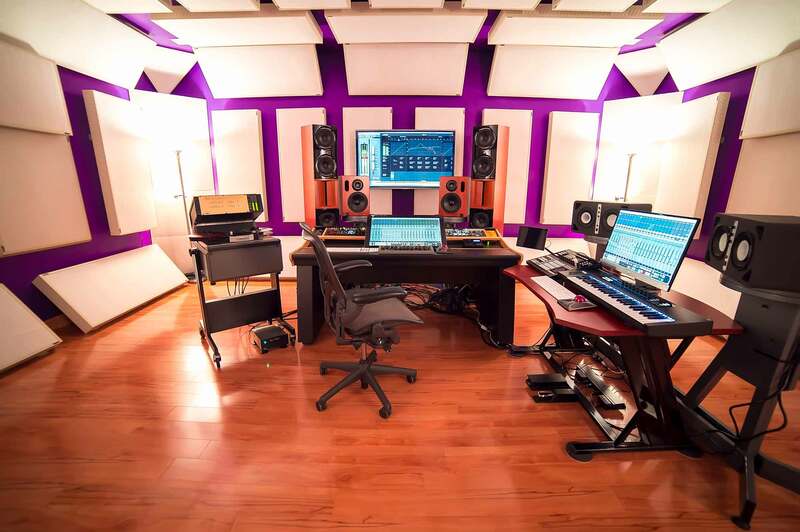 Each client's material is handled differently, and each song is approached with this end goal in mind. While this is painstaking work that requires pouring over every possible detail of your music, it's worth it in the end, because we only sound good if you sound your best. To that end, Cphonic's Kevin McNoldy has spent countless time and money to create the ultimate environment where the technical science of mastering can become invisible, and the emotional art of mastering can shine in order to help you create the ideal vision for your music. You've put your heart and soul into your craft, now let us take our unbridled passion for the science and art of sound and turn it into the ultimate version of your music. Selecting the proper online mastering house is a hard choice, which is why we list a lot of information on our various pages. However, it really comes down to the sound and how you feel about it--which is why we put our money where our mouth is with our free song mastering offer. Sign up from the link on this page, or return to the Cphonic Home Page for the details, and let us prove ourselves to you. Cphonic exists to make your music sound the best it can possibly sound, and we're dedicated to providing the ultimate online mastering experience!